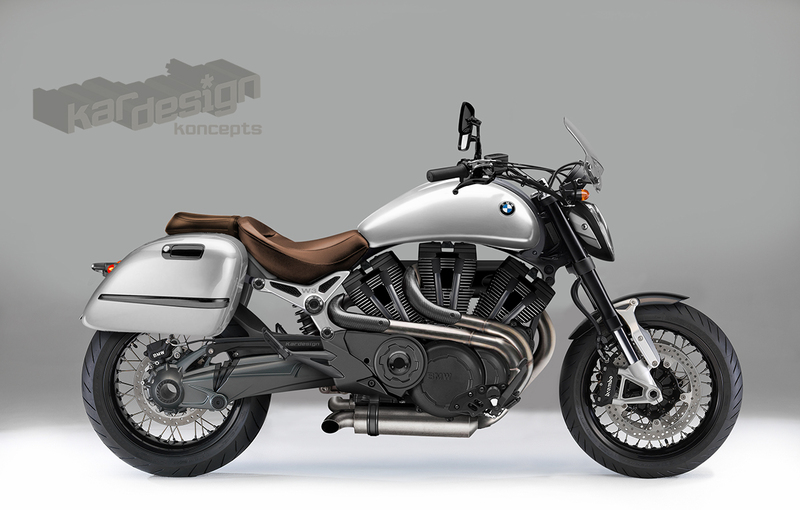 Will BMW’s W-triple replace the Boxer twin? 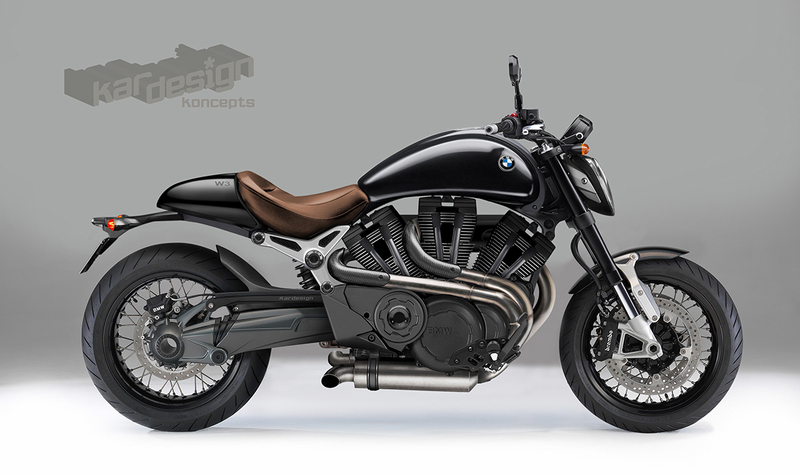 Remember BMW’s R1200C cruiser? Sure you do: It was the Boxer Twin cruiser that appeared on the big screen with Pierce Brosnan in James Bond flick Tomorrow Never Dies. Up against well-established V-twin Harleys the R1200C had neither the charisma or the looks to make much of a dent in the massive US market and even though it managed to stay in production for a respectable 7 years it speaks volumes that there was never a successor. Could that all change though? With the emergence of BMW patents showing a W3 configuration motor, rumours are bouncing around that they could be back in the cruiser scene before too long. It makes good sense – it’s a unique motor, narrow enough to get your feet forward for that cruiser style as your rumble down the interstate with the air rushing up your jeans. Motorcyclist magazine commissioned Kardesign to come up with a cruiser visual that used this unusual motor, and I was only too happy to oblige. Get the full story on Motorcyclist Online.